Julia and Chase contacted me about their plans to elope, and right off the bat I noticed a few things… First, they are genuinely the sweetest couple. Second, they have an incredible passion for adventure. And third, this was going to be the most epic elopement! 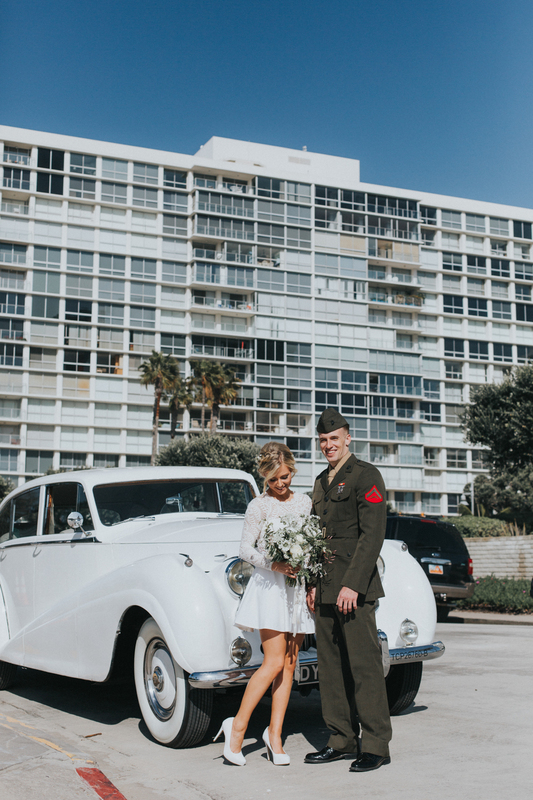 Chase and Julia are both in the service, Julia a Naval Aircrew-Woman, and Chase returning to the United States Marine Corp. - so their decision to elope was one of pure love for one another, and a determination to be together. I met Julia and Chase the morning of their elopement at Coronado Bliss, where Julia was getting her hair and makeup done. Chase, who was standing close by, never took his eyes off Julia and his grin said it all. After she was done we took a stroll down the streets of Coronado to Root 75, where Julia picked up her gorgeous bridal-wildflower inspired bouquet. We then hopped into our cars and followed the two to the Navy Lodge on base, where Julia is stationed, so they could get ready. I have never had a couple get ready alone together, but I have to say I kind of loved it! It was effortless, and romantic, and so relaxing. 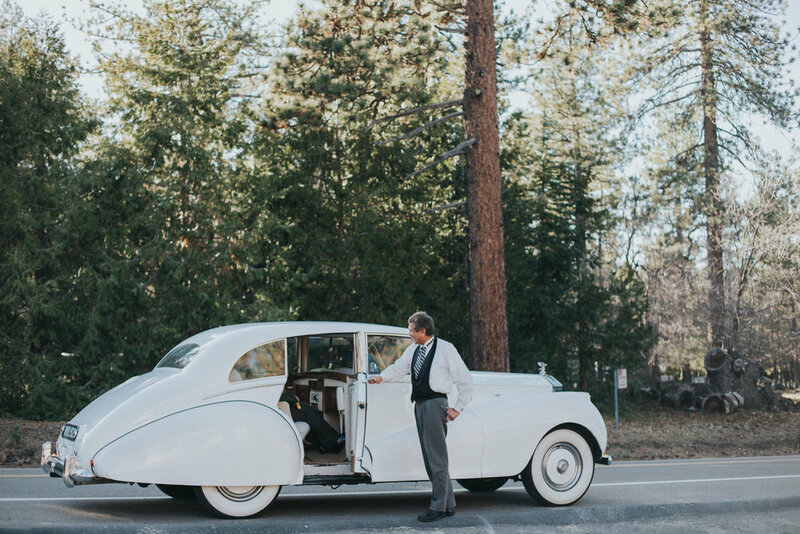 As soon as they were ready we stepped out onto the beach to snap a few more photos and wait for the beautiful vintage Rolls Royce to come pick them up. The car arrived and we followed them into the mountains… We arrived at the trail-head for Garnet Peak, right on the Pacific Crest Trail on Mount Laguna, where temperatures dropped into the low 40's and winds picked up to around 35mph. Here we met the awesome Pastor Chad Richards and hiked about half a mile back to a secluded cliff that overlooks the stunning Anza Borrego Desert. The two said their vows despite the freezing cold temperatures and wild winds, and Chase celebrated with a cheer as he kissed his bride! I am SO passionate about weddings like this! My Husband and I eloped last year in Yellowstone and it was the most incredible experience of our lives. To be able to photograph the same experience for others is such a gift! Two people ridiculously in love, wedding vows incredibly intimate, and a marriage started with so much adventure! Everything came together so perfectly for Julia and Chase, and I am so grateful they chose me to tell their story!